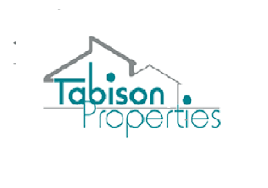 At Tabison, we specialize in sourcing high-income producing; buy to let property investments in a number of major cities across the major cities and towns in Kenya. Our super-star agents put buyers first’, our unbeatable expertise in assembling bulk deals provides both small and large investors with access to heavily discounted investment opportunities. Our experienced team has successfully guided many investors to financial freedom through offering bespoke property investment services. Catering for first time investors to those with portfolios worth over several million, we offer a unique service by allowing individuals to purchase property that is pre-negotiated and completely off market. This allows for a hands-off investment from day one. We have continued to build strong relationships with the Kenyans leading house developers, banks and receivers to ensure we provide our investors with unrivalled opportunities. Almost all of our deals are completely exclusive and are not available anywhere else. Our unparalleled service ensures that prospective investors are given a free one-to-one consultation with one of our expert property investment consultants. We’ll evaluate your investment objectives and present you with a careful selection of buy to let opportunities that are tailored to your given criteria.